The Lighton Prize for Teaching Artist Excellence 2012 In memory of Gertrude W. Lighton, this award is presented by Kansas City Young Audiences to recognize excellence by professional teaching artists who provide interactive arts education programs to students that consistently exhibit high artistic quality and a strong connection to school curriculum. Cathy and Dave’s school programs, Missouri Cultural History and Lewis & Clark, infuse their love of folk music with history and both have entertained and educated countless children since joining the KCYA roster in 1986. They have worked with fiddler Mike Fraser (pictured here) since 2007 after the passing of longtime colleague Bob Dyer. Folk Tradition in the Midwest Lifetime Award Folk Alliance Region Midwest (FARM) awarded Dave and Cathy the at their 2012 annual gathering in St. Louis. The award is given to a living individual who resides in the Midwest and whose involvement in the Midwest folk music and dance community: 1) has been of significant duration, 25 years or more; 2) has been of significant intensity; 3) has involved significant service to the Midwest folk community; 4) has reached, and reaches, beyond a single sector, such as concert performance, into the wider community; and 5) has extended folk music and/or dance outward, into the wider community. Part of Folk Alliance International, FARM endeavors to promote traditional, contemporary and multi-cultural folk music and dance and related performing arts in the Midwest. Stephens College Distinguished Alumnae Award Cathy received this award from her alma mater in 1993. 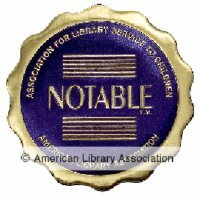 The Association for Library Service to Children (ALSC) a division of the American Library Association (ALA), named “’Most Perfect Harmony’ Lewis & Clark: A Musical Journey” with the Discovery String Band a 2004 Notable Children’s Recording.